Atlantic Stone is known for having the best selection and prices. 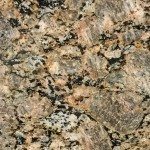 Since each natural stone slab is unique and something what has to be quarried, having a large inventory is crucial. AS has trucks arriving daily with new slabs from all over the world and AS makes it easy for you to find the perfect natural stone for your project. To reserve your slab today either call us at 404-500-0023 or via email.